If you run a restaurant, your plumbing and sewer systems are vital to your ability to serve your customers. When you need drain repair or sewer repair services, it’s an emergency that can’t afford to wait. At A1 Sewer & Drain, our team of experienced NJ sewer service contractors are available 24/7 for emergency drain repair and sewer repair for NJ restaurants. No matter what time it is, we can have a contractor at your door in less than an hour to deal with clogged drains, sewer backups, broken sewer lines, malfunctioning grease traps, and other sewer and plumbing disasters. 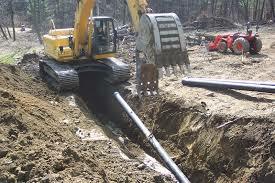 To find out more, or to get sewer and drain repairs in NJ today, call us anytime at A1 Sewer & Drain. Restaurant kitchens rely heavily on proper drainage systems to get rid of wastewater, cooking grease, food scraps, and other materials. Commercial drains in NJ food service businesses take a lot of wear and tear, and can sometimes need emergency drain repair for breakage, severe clogs, and other problems. 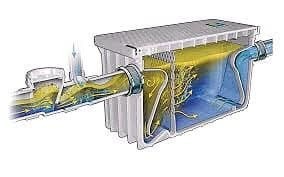 In most restaurants, grease traps are responsible for keeping cooking oils and fats from clogging up the drain lines. However, restaurant drains can still become clogged. At A1 Sewer & Drain, we use heavy-duty hydro jetting systems to blast away drain clogs with high pressure water, clearing out your restaurant drains and preventing flooding, leaks, and other problems. We also offer grease trap repair and installation services, helping you stay up to code and prevent drain and sewer clogs by making sure your grease traps are all working correctly. Restaurant drains are also prone to problems like corrosion, which can create the need for emergency drain repairs. Damaged drains tend to clog easily, leak out water, and emit unpleasant odors. These are warning signs that you’ll probably need to call a local NJ drain repair company soon, before the problem gets out of hand. The last thing any New Jersey restaurant wants to deal with is a serious sewer problem. Sewers are probably one of the least appetizing things known to man, and a sewage leak outside or backflow into your kitchens or bathrooms could be absolutely disastrous for your business. At A1 Sewer & Drain, we provide 24 hour commercial sewer repair services for restaurants and other NJ businesses, helping you get the problem under control immediately. Sewer lines can become clogged, a serious risk for restaurants that deal with large amounts of oil and grease. Even with proper grease traps installed, you could still find yourself with a clogged sewer line on your property. 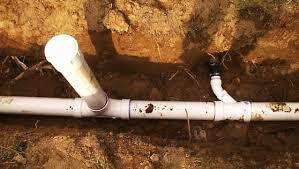 Sewer lines can also be damaged by tree roots, and can sink downward into loose or unstable soil. If you’re having problems with kitchen and bathroom drains clogging or emitting odors, the problem might actually be in your sewer main line. For NJ’s best restaurant drain repair, drain cleaning, sewer repairs, and more, call us any time at A1 Sewer & Drain. 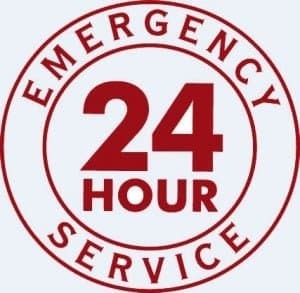 We’re available 24/7 for all your sewer and drain emergencies, helping you deal with serious situations and keep your business thriving.